Your toddler deserves to be as clean as possible. Your child can now achieve true cleanliness by using the Original Baby Bidet Bottle. It doesn’t take much for your child to get a diaper rash from extended contact with a soiled diaper. But, when it does happen, get faster healing from the rash by washing your toddler at each diaper change using the Original Baby Bidet Bottle. Make cleaning a soothing and gentle experience using lukewarm water. Dry toilet paper can feel unpleasant on that sensitive skin and just can’t get really clean. 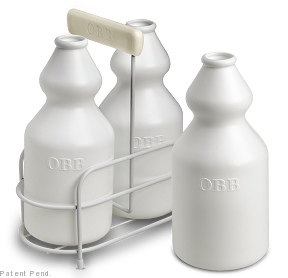 If you want your child to be truly clean and free of rashes, use the Original Baby Bidet Bottle. Using this water cleansing method will result in a happy child, who will know true true cleanliness. Water cleansing is great for toilet training. A gentle washing with warm water will put a soothing finish to a learning task. Lukewarm water is the gentlest method to cleanse your child. Read more about How to Use the Original Bidet Bottle for water cleansing. Besides discovering true true cleanliness, you will also find other unexpected benefits for you and your loved ones.